Tim Riley and Hayden Riley, hosts of http://LngDanger.com, and producers of the LNG documentary film: The Risks and Danger of LNG, warn that a new report reveals - LNG causes pipe couplings to shrink and leak. ÂWe too, are very concerned that the energy industry knew of this problem, and yet the siting of new and expanded Liquefied Natural Gas importation facilities is moving at a fast-tracked pace,Â said Hayden Riley. ÂIt is time to put the brakes on, and slow down the LNG application process - nationwide - until this troubling report and possible solution is fully examined and fully understood. We donÂt want our communities being exposed to dangers of pipeline leaks and explosions from regasified LNG,Â said Tim Riley. ÂWe are very concerned that the leaks started within six months of the regasified LNG passing through the pipeline system. This shocking revelation proves that LNGÂs allegedly innovated and modern technology has many flaws. What also upsets us is that apparently the industry knew about this danger, and nevertheless has failed to disclose this vital information during the nationwide LNG application siting process,Â said Hayden Riley. ÂMy cell-phone complies with FCC standards, and yet it drops calls all the time. IÂm sure the LNG company and the gas company were both complying with Âcurrent standards.Â Unfortunately, the learning curve requires tragic accidents occur before we recognize when Âcurrent standardsÂ are outdated,Â said Tim Riley. ÂCalifornia is now considering four LNG importation proposals. CaliforniaÂs pipeline ÂstandardsÂ are as high and adequate as their wishful thinking permits, nevertheless their standard, at this point is purely speculative at best since California has no experience whatsoever in transmitting regasified LNG through a system which faces constant earthquake and seismic activity. LNG is too dangerous for Monday quarterbacking,Â Riley added. 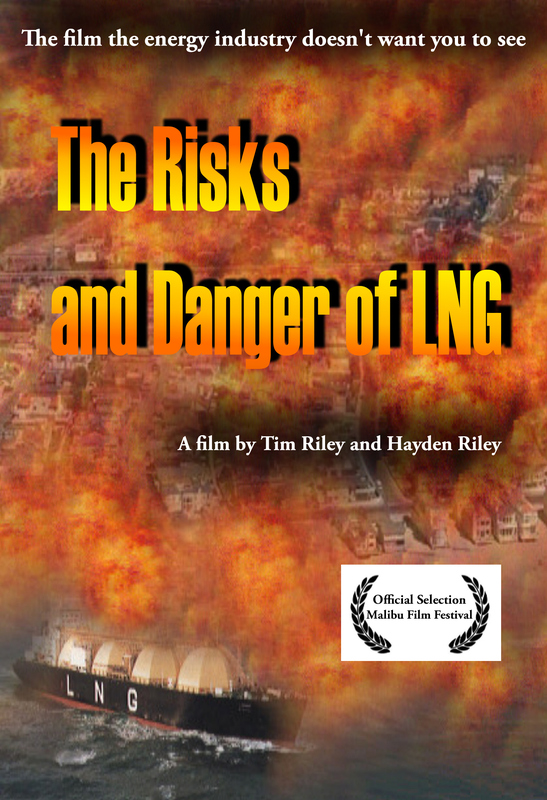 Visit http://LngDanger.com and http://TimRileyLaw.com to learn more about Liquefied Natural Gas, and to preview and acquire a DVD copy of the LNG documentary film, The Risks and Danger of LNG which is an Official Selection of the Malibu Film Festival.